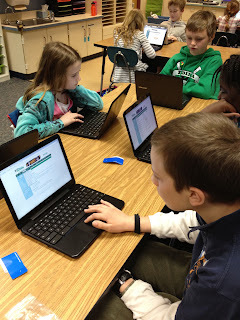 What are you excited about with having Chromebooks in the classroom? We won't have to go to the computer lab to do work, and they are nice and small to carry! I'm exited that I don't need to wait for a computer to open up. I just like technology, I am very thankful for having them. I am so excited to learn about technology and different websites on the Chromebooks and I think it will be fun to know tips and tricks that we can know in the future! 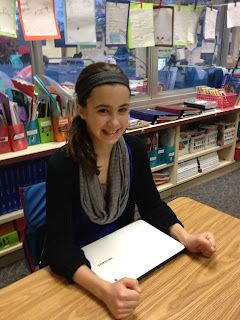 I like computers and i think it is really exciting and fun to have Chromebooks in our classroom. why wouldn't it be fun to have a computer in a classroom! i am sooooooo excited about these chromebooks! How do you think using a Chromebook will change your learning? I think it will make things easier for research and writing papers and other things that you need information for! I think it will make things easier to understand and you will never lose or misplace things because it saves automatically. I can focus on line it is much cooler then paper and pencil the more online the better! I think that it will change my learning because i can not loose any of my work and also my work is just in the computer. Well it will make us better learners by typing a lot and getting to know how to use the computers correctly. Also it will be nice to do lots of reports on them. I think it will force me to try new things. I think it can change my learning because now we always have access to the internet so if we have a subject to learn about we can easily learn about anything on the internet i think having Chromebooks will be awesome! Because people like lab tops better than paper and pencil. I think I can get smarter using the crome books because it has the internet. What can you do to care for your Chromebook? Make sure you carry it correctly and not getting it dirty by touching the screen. I can hold it properly with my thumbs up on the top. And I can hold it closed when I am walking. Before you get your Chromebook you wipe off your desk and you also wash your hands. Plug it in to the wall every day when the day is over. Every time i am done, i should make sure that my Chromebook is nice and clean so when the next person uses it it will be nice and easy. we should be very respectful to these $500 items. we should carry these carefully. 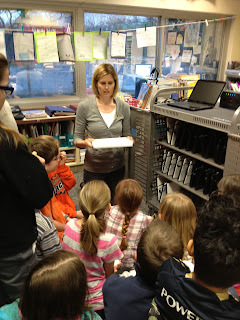 To care for our Chromebooks we can handle with care, stay away from water, no greasy fingers or try not to drop them. Leave your messy snacks on the ground and leave your water bottles on the ground.